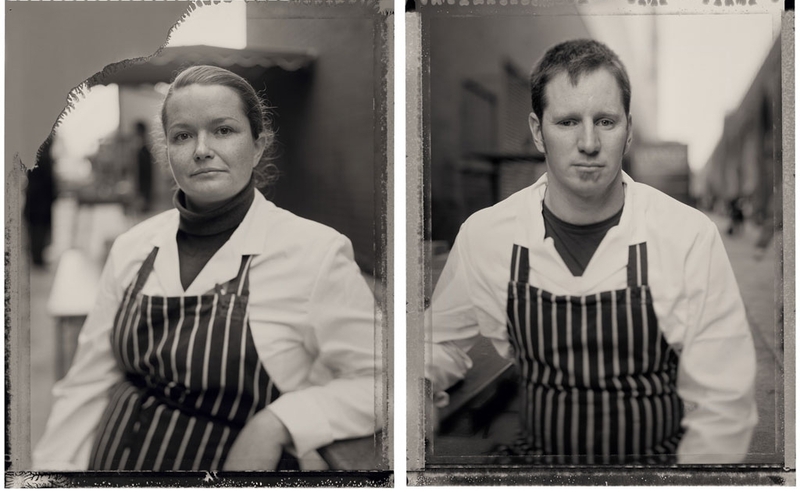 Ruth and Nathan from The Butchery live in Forest Hill and were attracted to the Forest Hill Food Fair to sell their quality meats. We encouraged them to set up a temporary shop in the run up to Christmas as part of the SEE3 pop-up shops. As well as selling meat they worked with Franklins of East Dulwich (another of our regular food fair stalls) to provide fruit and vegetables. During December The Butchery did excellent business with 2,000 customers in the first weekend, queues regularly coming out the shop, incredible reviews of their meat on SE23.com, and they realised there was enough demand to turn this into a permanent shop on the High Street. The Butchery have signed the lease to take on the shop permanently. The shop is currently closed for refurbishment, and is due to open in late February. Nathan and Ruth will stock a small but special range of meat from native bred animals raised naturally on small English farms. The seasonal Christmas range included: free-range turkeys, ducks, cockerels and geese, as well as beef, pork and lamb roasts. They make their own tasty stuffings, stock and pigs in blankets, and goose fat for the best-tasting roast potatoes, as well as gammon, ham, chutneys and pork pies.